In the first week of March I’m scheduled to visit Wilfred Laurier University (Waterloo, Ontario) to hold a cooking 101 class for graduate students. One of the dishes we’ll be preparing together is Beef Chili. how to save a recipe if it tastes like...it's missing something. The chili recipe we prepare is great for sharing cooking skills but it probably has more ingredients than most busy students are willing to deal with. An easier mid-week option would be this Six Ingredient Skillet Beef Chili. There’s no chopping required, you don’t need herbs or spices and it can be made in about 10 minutes! I made this recipe the other night and was surprised how good it was considering you don't add chili powder! The only thing I would have done differently was use reduced sodium products. By using the regular baked beans and soup my sodium levels probably skyrocketed through the roof! 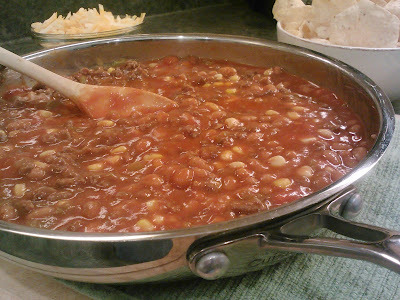 At the event we’ll be using fourteen different ingredients to prepare the traditional Beef Chili. Now I can also let the students know they can create another tasty version using only six! In a skillet, cook beef over medium-high heat until brown. Drain excess fat and transfer meat mixture to a medium bowl. Set aside. 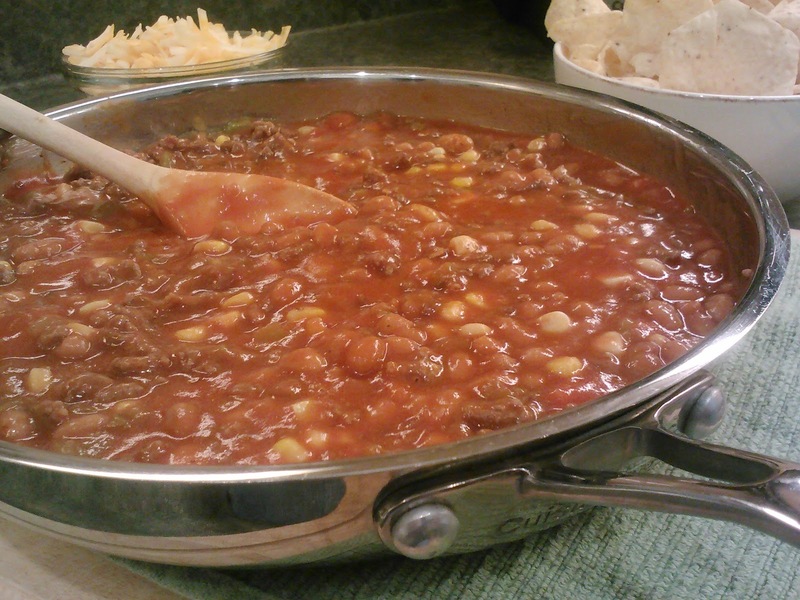 Add soup, baked beans, green chilies and corn to skillet. Stir to combine and cook over medium heat until mixture begins to bubble. Stir in cooked beef. 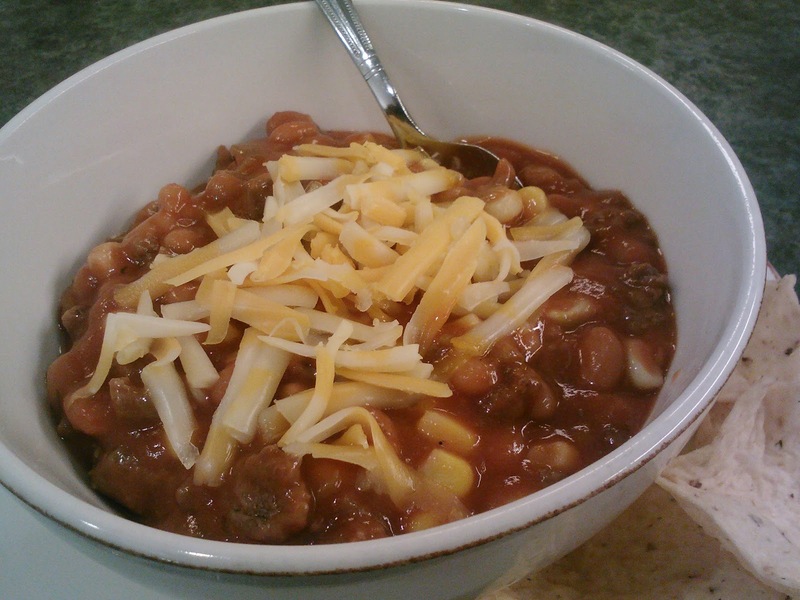 Ladle chili into bowls and sprinkle shredded cheese on top. Two More Chili Recipes to Try! This is fantastic! I love the tips you are going to share with them, very useful. I could probably be taught a thing or two about how to seed a pepper! This looks amazing and easy to make. I'm definitely going to be making this one!! To the extent knot charcoal goes, Royal Oak is about the best at the cost. ... A ton of tenderfoots commit that error, and adjust constantly the vents. ... Is smoked meat healthy?